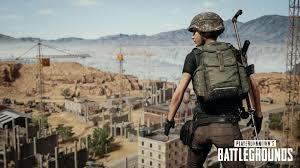 Therefore, it is important to pick up bandages, med packs and health boosters like energy drinks and painkillers in-game. We advise players to keep the health and energy bar full in the last stages of the game, as it results in faster reflexes and higher chances of survival. When the playzone is shrinking, a lot of players tend to rush to its center, trying to avoid getting caught out by the blue circle. However, we suggest sticking to the edges of the playzone rather than the center, for longer survival. In this way, you can shoot players entering the playzone later, and do not have to worry about being flanked by opponents.